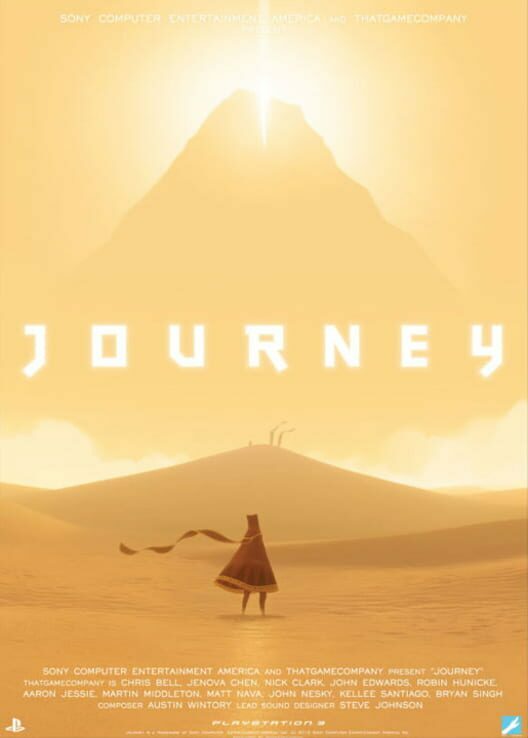 Journey‍ '​s story is told wordlessly through in-game and pre-rendered cutscenes. 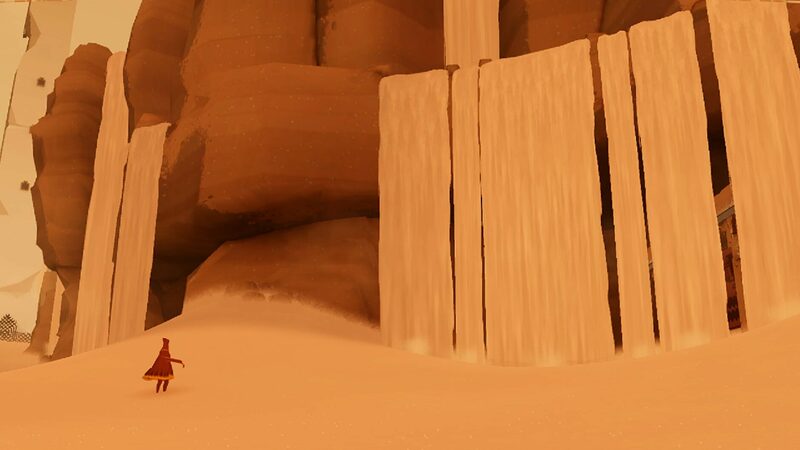 The player's character begins on a sand dune in a seemingly endless desert. In the far distance looms a large, foreboding mountain with a glowing crevice that splits its peak. 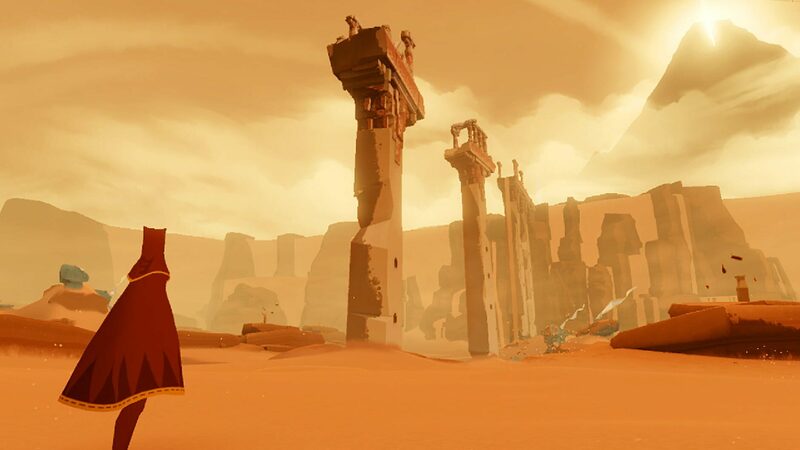 As the character approaches the mountain, they find remnants of a once-thriving civilization, eroded by sand over time. 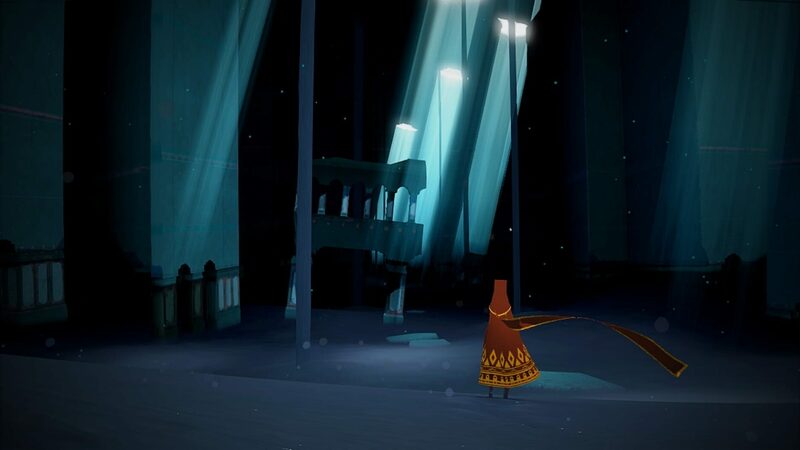 Scattered throughout the ruins at the end of each area are stones at which the traveler rests; these give the traveler the vision of meeting a larger, white-robed figure in a circular room, with art on the walls describing the rise and fall of the civilization, mirroring the player's journey. The player continues to journey deeper into the remains of a once sprawling city at the base of the mountain. Eventually making it safely to the mountain, the traveler begins to climb it, struggling as they enter the colder climates and encounter deep snow and high winds. With the crevice still a fair distance away, the traveler falls and collapses in the snow. 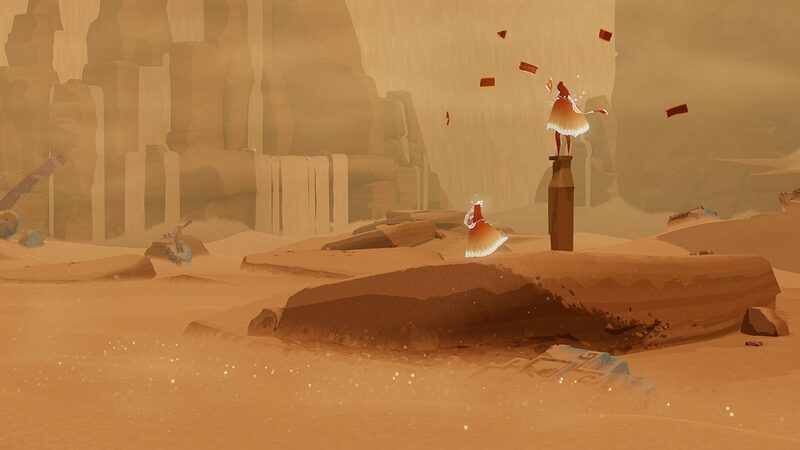 Six of the white-robed figures appear and grant the traveler new energy, allowing the player to reach the summit of the mountain and walk into and through the crevice as the screen fills with white. The player is then shown the game's credits, playing over the ending cinematic. This cinematic shows a shooting star emanating from the crevice and traversing the path the traveler took through the ruins, and shows glimpses of other robed travelers heading towards the mountain. 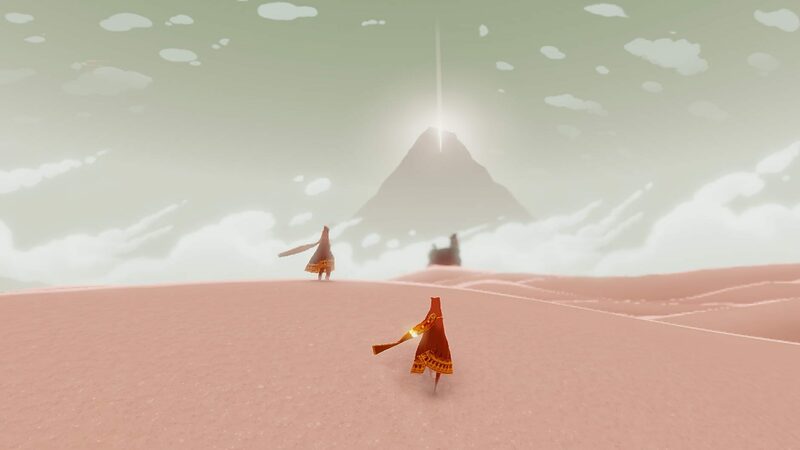 Eventually, the star comes to rest at the sand dune where the game began, and the player is given the option of starting the game again. As the credits end, the player is shown the PlayStation Network IDs of the other travelers who shared part of the trek.